Think of it as a new year resolution. Unless you habitually break your resolutions, in which case, don't. Either way, if your small business hasn't created a mobile version of your website, this is the time to do it. Don't take my word for it, Bob Parsons, CEO and chairman of GoDaddy.com says it's the next big thing. His January 4th video blog is all about the importance of adding a mobile-ready version of your website to improve your business. The way people access the Internet is changing and, Parsons says, "if you care at all about how much money you make it's absolutely critical that your website is optimized for mobile." Along with trusty video blog sidekick, Leann, businessman Parsons outlines his reasons you need a mobile site. Spoiler alert: they all boil down to the same thing, consumers are using mobile and if they can't use your site comfortably, they are unlikely to buy your products or services. More than 50 percent of smartphone users say they're less likely to engage with a company that presents a bad mobile experience. Yet, 75 percent of small businesses don't have a mobile-ready website. Sixty-seven percent of mobile users say that a mobile-friendly site makes them more likely to buy a product or service. Many small businesses don't have the luxury of employing a full-time webmaster or marketing person. It's easy to put your website on the back burner when you don't understand how to improve it and prioritize your in-store experience. When you hear, however, that 67 percent of people with mobile devices are more likely to buy something when they have a good experience with a mobile site, well, that's an awful lot of motivation to create or revamp your mobile website. If you advertise in any medium, you need to have a mobile website. Google research shows that the majority of smartphone users who see a business ad will often look for that business on their mobile device. 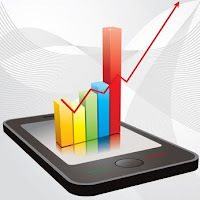 Having a mobile website will make your advertising dollars much more productive. The bottom line is this: a good mobile site will drive customers to your business and increase sales. A bad mobile site will disappoint your customers and prospects and cost you money. So mobilizing your site, making it mobile ready, is an absolute must. Imagine yourself as the consumer, and this has probably happened to you: you see an ad for a business that intrigues you. Let's say it's for a special sale or promotion that runs for a limited time. You look the business up on your phone and want to know their hours of operation. No matter how hard you look, you can't seem to find that information. You might find the phone number but it just rings endlessly, there's no answer and no answering machine. Are you going to patronize that business? Unlikely, isn't it? So, whether you use GoDaddy or not (Bob will give the shameless plug for his product at the end of the video) find a way to make a mobile site that will bring business in, rather than driving it away. Mark Hooper - Ex-football player Mark is the proud owner of an athletic store that supplies uniforms and equipment for the local schools in his town. He loves to share his tips and ideas for business success with other entrepreneurs and small business owners.